Medicaid is without question, the number one source of funding for long term care in the Texas. This is because most seniors cannot afford to private pay without jeopardizing their families financial well being or cannot afford to qualify for Long Term Care Insurance. Unlike Medicare, Medicaid is a means based program. Meaning, in order to qualify, a person must satisfy a set of requirements. For most, this is where the confusion and difficulties begin. Unfortunately, Medicaid has become so complicated that most people find it very difficult and confusing. Often times this only adds to what already is a stressful and uncertain situation -- caring for a sick or disabled loved one. Like most things in life, if we start out prepared and ready, knowing what is expected of us, we are much more likely to have a better outcome. That’s where Medicaid planning can be so helpful! Medicaid planning simply starts by looking at where you are now in meeting each of the eligibility requirements. Then as problems are identified, solutions are discussed and carried out until the applicant is safely within each of the qualifying guidelines. As a result, the applicant and family members have the confidence and assurance of knowing their application will be approved rather than the ever so frustrating denial. While it’s never too late to start planning for long term care, the earlier you start the more options you have to protect your property and money. Even if you are currently in a care facility, Medicaid planning can help you avoid a complete spend-down of your hard earned assets. If however you are simply looking ahead to the possibility of needing long term care, a consultation will provide valuable insight that can provide needed peace of mind. Myth #1: I must spendown all my assets before I can qualify for Medicaid. Truth: Medicaid does NOT require a spendown of assets in order to qualify. Instead, one may transfer assets to someone they trust. By doing so, up to 70% of assets can be protected from spendown. Medicaid has provided clear guidelines that, if followed, enable anyone to legally make transfers and avoid a complete spendown. Myth #2: If I accept Medicaid assistance, Medicaid will take my home. 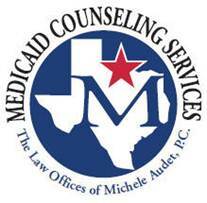 Truth: The Medicaid Estate Recovery Program (MERP) does enable the state to seek repayment of Medicaid cost upon the death of the applicant. However, proper Medicaid planning can safely protect your home and other assets from Medicaid claim. Mistake: Failing to take FULL advantage of the "Spousal Impoverishment Act". Why is this a mistake? : Federal guidelines provide much needed help for the spouse of a Medicaid applicant. Myth #3: There is a 5 year waiting period if assets are transferred. Fact: Medicaid requires all transfers made in the last 5 years be disclosed. However, the waiting period depends both on the timing and the value of the assets transferred. Therefore, an applicant may transfer assets and be eligible for Medicaid the following month. A thorough assessment and consultation is recommended before such transfer is made. Myth #4: Medicaid planning is unethical or illegal. Fact: Medicaid planning assures that laws and regulations are followed. Much like Tax planning which seeks legitimate deductions and exemptions that reduces tax liabilities. 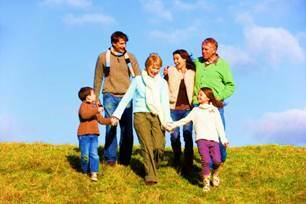 Medicaid planning seeks out legal methods of preserving hard earned savings and property.